A Columbus high school lockdown drill got very real earlier this month. As the students began the drill, the Walnut Ridge High School principal was informed that a student had a gun and several ammunition clips. The pretend school gun shooter lockdown then turned into an actual school gun shooter lockdown. The student fled the scene, leaving the gun and clips in his backpack at the school. He was later found by police and arrested. Charges against the boy have not been released. However, he will, at the very least, probably face charges for possessing a firearm on school grounds. If you or a loved one is facing charges, contact our Columbus office for assistance. In Columbus, it is illegal for anyone under the age of 18 to purchase a firearm. There is no specific Ohio law that prohibits minors from owning or having guns. However, federal law generally prohibits anyone under the age of 18 to own or possess a handgun or handgun ammunition. There is an exception if the minor’s parent gives written consent. In the Walnut Ridge High School case, no details about the student’s age were released. However, most students in a high school have not yet turned 18. If the student is not at least 18 years old they could face criminal charges for illegal possession of a firearm by a juvenile. Schools are considered to be very special places. They are an environment that must be kept safe and free from foreseeable harm. Many laws prohibit or limit a person’s ability to carry a firearm on school grounds. Even states like Ohio that have very liberal open carry laws place limits on gun rights for school grounds. In Columbus, it is a crime to knowingly possess a firearm or other deadly weapon in a school safety zone. A school safety zone includes all school buildings, school property, school activities, and school buses. This means that a school safety zone can extend beyond the actual grounds of a school building. You leave the firearm locked in your car. The facts of circumstances of each specific case will help to determine if the possession of a firearm on school grounds is illegal. The best way to avoid criminal liability for having a gun on school property is to not bring a gun onto school property at all. Possessing a gun on school grounds can be charged as a Fifth Degree Felony. A conviction can be punished by 6-12 months in prison and fines of up to $2,500. A criminal conviction for a gun crime carries serious consequences. There are, of course, the criminal consequences that first come to mind. These include jail time, probation, and fines. The collateral consequences of a conviction can be even more devastating. This is especially true if you are convicted of a felony. Collateral consequences can affect you for the rest of your life. These are penalties and sanctions that are imposed on you because of your criminal conviction. In Ohio, there are more than 800 possible collateral consequences of a criminal conviction. Forfeiture or loss of government jobs. In addition to these collateral consequences, you will have to live with a criminal record. Many applications require disclosing whether you have a criminal record. Employers may not want to hire a someone who has been convicted of a crime. Landlords may not want to rent an apartment to you if they believe you pose a threat of danger to others. Schools may even decide that you are not qualified for admission because of your record. The best way to avoid the consequences of a conviction is to hire an attorney to defend you. 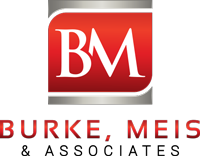 At Burke, Meis, & Associates we understand what is at stake when you are charged with a gun crime. We will fight to get the charges against you reduced or dismissed. We will make sure that your legal rights are protected and that you are given every opportunity to defend yourself. The sooner you call us, the sooner we can begin to develop a customized defense for you. Contact our team of Columbus criminal defense attorneys today to schedule your free consultation.